About halfway through Elizabeth Mosier’s The Playgroup, the narrator describes the struggle involved in turning the events of real life into fiction: “What intrigued me was reality: Sarah’s guilt over her brother’s death, Linda’s postpartum depression, Bryn given up for adoption, Maggie’s son found blue and still in his bassinet. 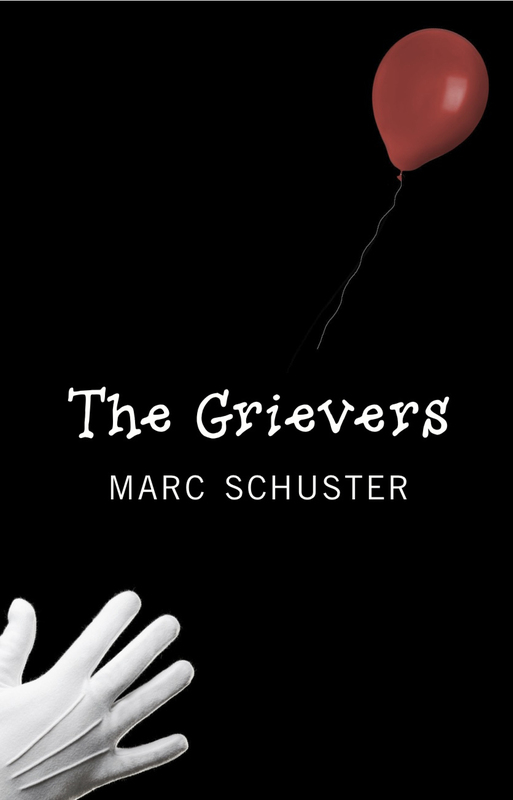 Was it even possible, I wondered, to capture their losses in words?” Fittingly, it’s Mosier’s own gift for turning such losses into a sense of yearning that makes this work of fiction so compelling. Her characters are a handful of mothers whose uncertainty and ambivalence about motherhood is rivaled only by the pressure they feel to put on their best happy faces and pretend for the world that they know exactly what they’re doing at all times. Yet when a member of the group learns that the child she’s carrying may have developed a cancerous mass, the facade of perfection becomes almost impossible to sustain. The resulting crisis forces the members of the group to take stock of their lives and to come to terms, each in her own way, with the myth of the perfect mother. The Playgroup is one of several titles in Gemma Media’s new Open Door series, a line of books designed to promote adult literacy. Participating in this endeavor, Mosier is in good company. Other Open Door authors include Roddy Doyle, Nick Hornby, and Maeve Binchy. While the narratives are short and the prose straightforward, the subject matter and themes of these works offer much to consider, as evidenced by Mosier’s honest, complex treatment of motherhood in The Playgroup. Indeed, if Mosier’s writing is any indication of the quality of other titles in the series, then the Open Door library is definitely worth checking out. Some authors use the word “odyssey” to simply represent a journey or a passage of time. In Lily’s Odyssey author Carol Smallwood takes a more literal approach. Just as Odysseus spends years making his way home after the Trojan War, Lily struggles to find her true home in the world. She has encountered her share of cannibals, lotus-eaters, sirens and monsters along the way, but it is her abusive Uncle Walt and his Cyclopic wife Hester (who turned her one good eye away from the incestuous situation years ago) that have haunted Lily’s thoughts and dreams since childhood. Smallwood’s Homer-like use of a nonlinear plot is well-suited to the story since Lily’s journey is rather like trying to piece together a jigsaw puzzle. With intelligence and humor Lily navigates the passages of her life which include marriage, motherhood, psychotherapy and education. She even spends time in Ithaca while working on a Master’s Degree in Geology. In fact, geological references are abundant as Lily explores her lifelong fascination with the formation of the earth and her place on it. Readers can feel Lily’s sense of frustration at the ever-shifting underground plates that prevent her from finding solid footing. Orphaned at an early age and sent to live with her aunt and uncle, Lily later explores her obsession about abandoned animals and plants, and eventually discovers its root in her childhood. What may seem obvious to the reader is not as easily seen by Lily, whose vision of the past has been obscured by the trauma of abuse, insensitivity and denial. The book begins with the death of Uncle Walt and Lily’s return to the house where she had spent her childhood. It is there that Lily begins to think about reinventing herself without the existence of Uncle Walt in her life. The author’s use of imagery is at times stunning. “I heard the train whistle. I saw myself as a bird following the train as it wound its way through the landscape, leaving only smoke as evidence that it had passed.” Referring to her aunt, Lily thinks about “Tulips closed as tightly as Aunt Hester’s lips.” Smallwood’s many cultural, historical, scientific and religious references are a nod to her readers’ awareness, intelligence and curiosity. They elevate the story and allow us to discover more about Lily’s world and our own. On a basic level the reader can relate to Lily’s awkward attempts at relationships, and to her wickedly funny observations about people. We cheer for Lily as she leaves behind her dismissive husband Cal, the lecherous Dr. Schackmann and other toxic people whom she encounters. We understand as she questions the tenets that were instilled during her strict Catholic upbringing, including “the duties and sufferings of women as wives.” We yearn for Lily to find the illumination and peace of mind that she seeks. 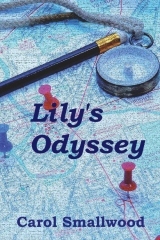 Through Lily’s Odyssey, Carol Smallwood gives us hope that one lifetime might be enough for Lily and others to find their way. Jan Siebold, a school library media specialist in East Aurora, New York since 1977, received her MLS from the University of Buffalo. Jan has served as NYLA Secretary, and received the NYLA/SLMS Cultural Media Award in 1992. 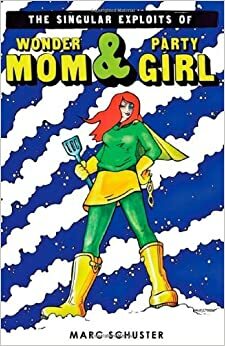 She is the author of Rope Burn (Albert Whitman, 1998), Doing Time Online (Albert Whitman, 2002) and My Nights at the Improv (Albert Whitman, 2005), three middle grade novels on numerous award lists. More great stuff from Featherproof Press, and once again I have to comment on the book design. 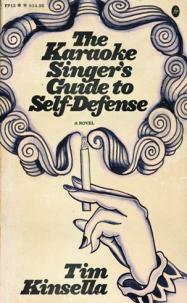 The Karaoke Singer’s Guide to Self Defense looks, on the surface, like the kind of book you’d find left in a rental home — something published in the early eighties and left behind at the shore or by a lake and read (at least in part) or otherwise used by dozens and dozens of casual passers-by. Even the spine looks threadbare and well-thumbed. And appropriately so, because this book is about the used and the threadbare, not to mention the well-thumbed. Throughout the novel, author Tim Kinsella takes us down the dark rabbit holes of his protagonists’ desperate lives: a father embarrassed to the point of aggression at his son’s performance on the football field, a son’s questionable participation in his mother’s death, and a daughter trying to sort through the remains of her mother’s life are just some of the struggling, ambivalent creatures Kinsella offers. His prose is lyrical in a sardonic kind of way, lending the novel the air of George Saunders short story, while the sweeping scope and emotional depth of Kinsella’s work is reminiscent of John Irving. It’s the perfect book to read over the course of a rainy vacation and then leave behind for someone else to discover. The first dozen or so poems in this charming collection by Cristin O’Keefe Aptowicz read like something a slightly more urbane version of Pam from NBC’s The Office might write if she lived and worked in New York City. Topics in this portion of the book range from the poet’s love for her morning cup of coffee to an odd talent for answering all phone calls with a sunny disposition. But then the collection takes a turn when a poem about 9/11 recasts all of the previous poems in a new light; there used to be something light and bouncy about working a dead-end job in NYC, this poem and those that follow seem to say, but in the wake of 9/11, it’s time to for the poet to get her priorities straight. In this case, it’s a matter of deciding to leave the relative comfort of a steady paycheck and health benefits in favor of the poet’s hand-to-mouth lifestyle. Needless to say, there’s no moment where the poet says, “And then I decided to focus on poetry because 9/11 put everything into perspective for me,” but the structure of the collection makes the lasting effect of that pivotal moment in both world and personal histories difficult to ignore. What follows, then, is a series of meditations on the place of the poet in society: poems about being a touring spoken word poet, poems lauding the efforts of baristas to hold off on making steamed beverages until there’s a pause between poems, poems lamenting the failures of other poets, and ultimately poems about falling in love with Shappy Seasholtz (no poetry collection is complete without at least a handful of these). Other topics covered in this collection include the “outsider” art of Henry Darger, college cafeterias, first words, abandoned words, and the exquisite sense of schadenfreude involved in seeing a rival poet fail. From tragedies both global and personal, Aptowicz expertly milks equal amounts of pathos, humor, and self-awareness. What’s more, there’s a story in this collection, a subtle narrative about priorities, about anxiety, about the myriad performances we put on throughout the day. And, ultimately, about finding one’s place in the world.